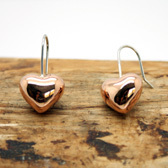 An chic and stylish pair of sterling silver and copper heart earrings from the Pura Mexico range. The earrings are created from a handcrafted highly polished puffed copper heart with a solid wire ear fixing of 925 sterling silver. 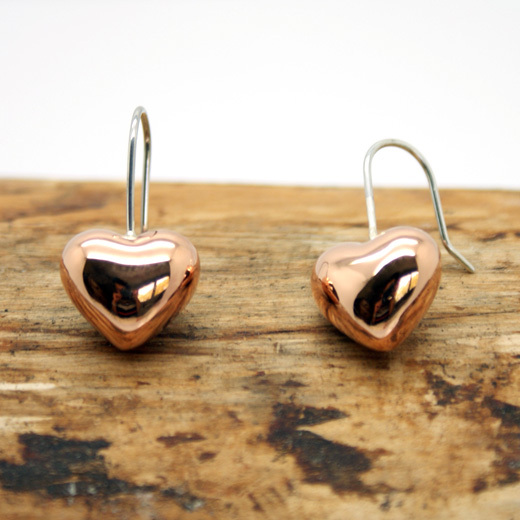 They are for pierced ears only. 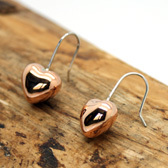 These earrings are very striking, will enhance any outfit and look equally elegant with evening wear. 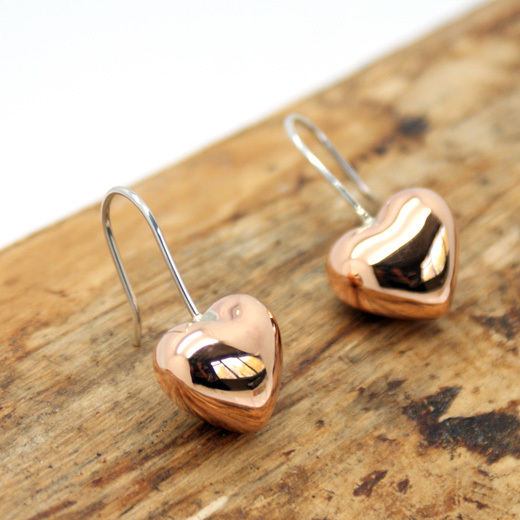 We have a matching pendant and necklace to go with these earrings on this page.